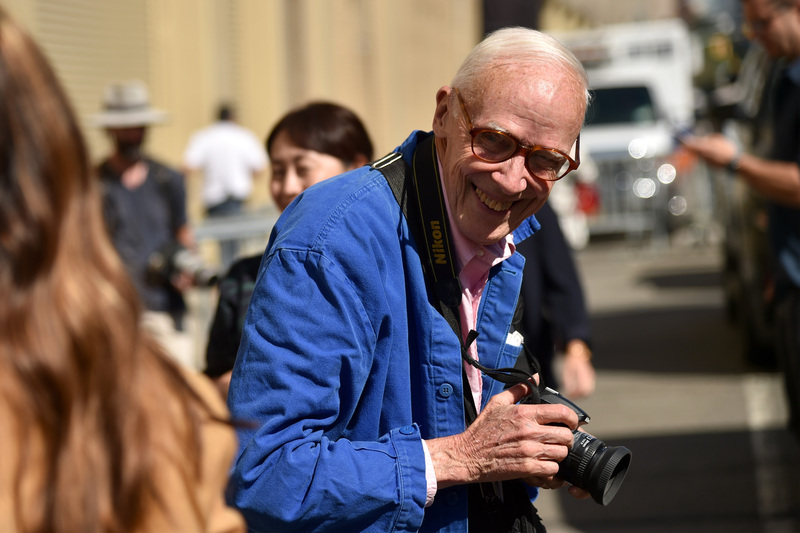 In a shocking and sad turn of events, legendary New York Times fashion photographer Bill Cunningham has died at the age of 87. Cunningham leaves behind a truly singular body of work and high-ranking status in the fashion world that is rarefied like no other: After all, his tenure at the New York Times spanned nearly 40 years. In that time, Cunningham's work became renowned. As fashion-forward as he was rooted in the present, as avant-garde as he was traditional, his photographs continually captured the spirit of the times. Memorializing trends like fanny packs and bike shorts in the Times, Cunningham helped capture the fashion zeitgeist in print. His photos blend the landscape of New York City with the sumptuousness of fashion, and they have become iconic in their own right. It's important that we remember his legacy if only because his work so thoroughly was New York City. It's difficult to choose just one photo by Cunningham that sums up his legacy — but it would seem only fitting that this photo, of longtime collaborator Editta Sherman perched in a graffiti-riddled subway car, best embodies all the sentiments that come to mind when speaking on his work. What Cunningham's work did so well was to fine-tune one specific image so that it embodied the right amount of contrast and awareness. Here, Sherman is surrounded, albeit anachronistically in comparison to her outfit, by modern-graffiti. The New York City of the mid-1970s was a far grittier place than we know it to be today. The grit and grime evoked by the surrounding seem to form a bubble around Sherman. She's dressed in turn-of-the-century garb, neatly tucked away in a corner of the carriage. Her thousand-yard stare is curious —where does she look? To the future or the past? Sherman was also a major New York City icon. A patron of the arts and major photographer herself, she worked with many of the best artists of the 20th century, including Andy Warhol. But she, like Cunningham, are so much more than their artistic associations or their superlatives. Well earned, but hardly defined by them. No, what defines Sherman and Cunningham are photographs like this, which serve as a testament to the evocative possibilities of art, fashion and life itself.